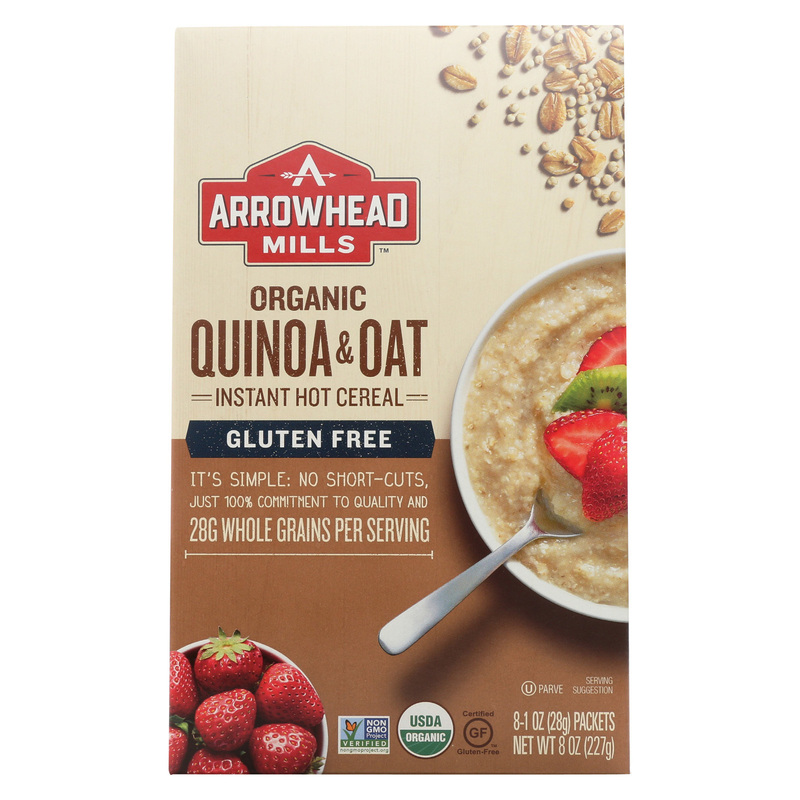 ARROWHEAD MILLS ORGANIC QUINOA & OAT INSTANT HOT CEREAL IS A CHOLESTEROL FREE FOOD THAT OFFERS 28 G. OF WHOLE GRAINS PER SERVING. QUINOA WAS A STAPLE OF THE ANCIENT INCAS AND MEANS “THE MOTHER GRAIN.” IT HAS A DISTINCTIVE FLAVOR AND FLUFFY TEXTURE. OATS ARE PLEASANTLY MILD AND CAN BE FLAVORED TO MOST PEOPLE’S INDIVIDUAL PREFERENCE. COMBINED TOGETHER, QUINOA AND OATS OFFER A GLUTEN-FREE HOT CEREAL THAT IS A GOOD SOURCE OF FIBER. ADDITIONALLY, THIS PRODUCT IS USDA CERTIFIED ORGANIC, KOSHER AND NON-GMO. THIS BOX CONTAINS EIGHT 1 OZ. 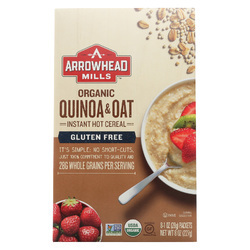 PACKETS OF ARROWHEAD MILLS ORGANIC QUINOA & OAT INSTANT HOT CEREAL.